Lakewood Raises the age of Tobacco and Vaping Products. There is an epidemic in the country right now of underage smoking and the use of E-Cigarettes. According to the Cleveland Clinic, “Approximately 90 percent of smokers begin smoking before the age of 21.”. This statistic is a scare to parents and family members of teenagers everywhere. Right now there are 7 states and over 100 cities who have raised the age where you can purchase tobacco products or vaping products. Lakewood is joining the other cities in Ohio like Kent, Akron, Cleveland, Columbus, and many more other cities in taking a stand on teenage smoking. Lakewood City Council agreed completely on the decision to raise the age limit and had a unanimous vote to take action. Businesses have been told the new law and are getting training from the Cuyahoga County Board of Health. If people are caught going against the law, they will receive a fine. If businesses are caught going against the law, they could get their permit to sell tobacco products revoked. Ward 3 Councilman John Litten was the one who suggested the new law. There is a lot of research about youth growth and the use of tobacco products or electronic cigarettes. According to the CDC, “Nearly 1 of every 5 high school students (20.8%) reported in 2018 that they used electronic cigarettes in the past 30 days—an increase from 1.5% in 2011.”. 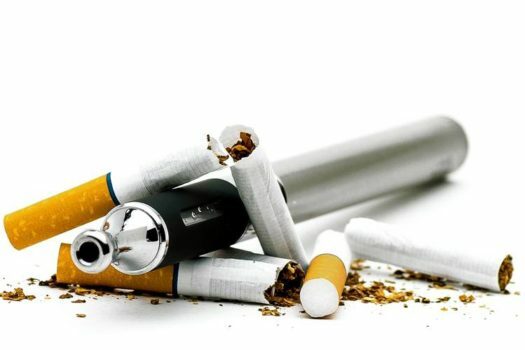 According to the American Lung Association, “E-cigarettes contain harmful chemicals such as formaldehyde, which is known to cause cancer, and acrolein which is used as a weed killer and can cause irreversible lung damage.”. Students around the school are feeling mixed emotions about the new law. Senior Amina Kavishe says, “I don’t see a point for the rule if someone wants to smoke they’ll find a way.”. On the other hand, senior Katie Booth says, “I feel like raising the purchase age will help combat the number of kids who are getting addicted to nicotine products.”.